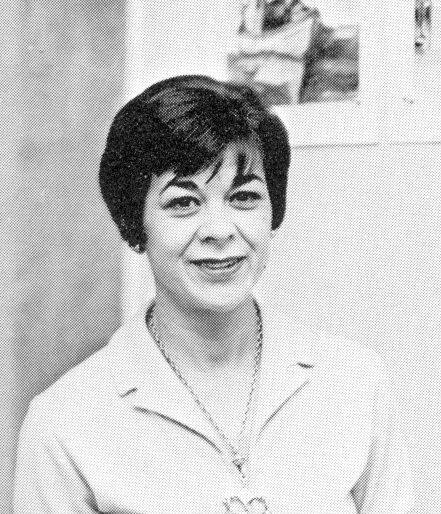 Cathy Palmer, the blogger for Burbank High’s Class of 1967, recently wrote about art teacher, Doris Adams, and one of her famous students, writer/producer/director Tim Burton, and gave me permission to repost it on this blog. My only art class was with Mrs. Adams, and what I learned in her class has stayed with me in my pursuit of graphic design. Doris Adams, art teacher. Photo from the 1968 Ceralbus. Mrs Doris Adams taught ART at BHS in the 1960’s and 1970’s. she is a very talented artist herself. She is now in late 80’s and still very active and involved in many things. She lives in Aliso Viejo in Orange County. One of her BHS Art students was writer/producer/director Tim Burton, BHS ’76. About two years ago Tim Burton reconnected with Mrs Adams while he was preparing for the exhibit of his own art at two US shows, first in NYC at the Museum of Modern Art and then in Los Angeles at the LA County Museum of Art from May to October of 2011. Tim had a film crew go to Mrs Adams’ home to interview her in early 2011. That footage was edited into a video that was shown on monitors that the public could see during his art exhibits in the museums in both NY and LA. In the video Mrs Adams shares her memories of having Tim as a student at BHS, how quiet he was, how he always finished his art assignments early, all fond memories of Tim. Tim invited Mrs Adams and her whole family to the opening of his art exhibit in Los Angeles at the County Museum of Art in May of 2011, and they attended! Tim Burton is a Burbank High grad! Recently in mid-September Mrs Adams received another invitation from Tim Burton, this time for her and her family to attend the premier of his newest film, “Frankenweenie”, which was held later in September! Mrs Adams thought we would like to know that Tim does remember his days at BHS. Another of Doris Adams’ former BHS Art students, Alan Landros ’70, is in contact with her from time to time, and he received a note from her in September where she told of her latest contact with Tim Burton. 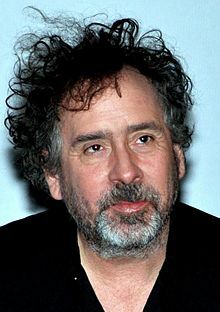 I had no idea Tim Burton was a Burbank High grad! He was involved in the production of Edward Scissorhands, Batman Returns, The Nightmare Before Christmas, Batman Forever, Planet of the Apes, Corpse Bride, and other movies. Posted by Katherine Crosier on November 23, 2012 in Burbank High School and tagged Aliso Viejo, art, Doris Adams, high school art, hollywood, illustration, Orange County, Tim Burton. I am looking for any information about an art piece by Doris Adams, highly unique and extraordinary. Mrs. Adams was a truly talented artist. Thanks!